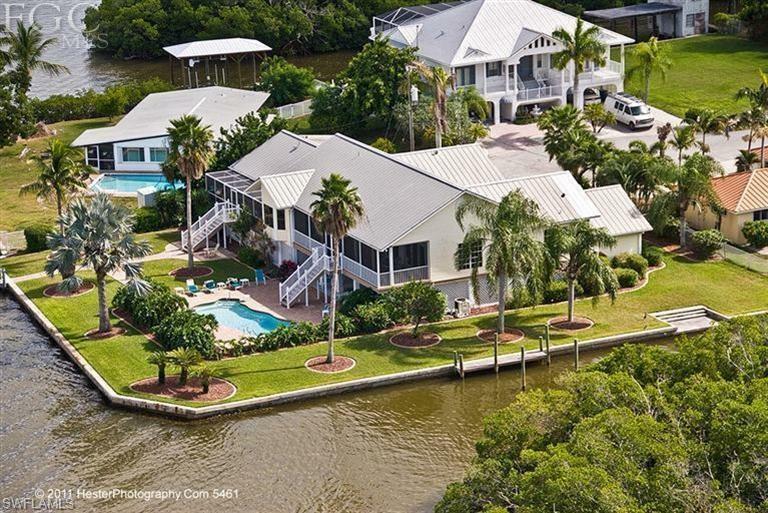 OK, I'll put this property up against any on the Ft. Myers Beach. DEEP Water access, 275 feet of seawall. Absolutely gorgeous property and wonderful views! Main house has been completely redone, recent roof, A/C, large kitchen, LIGHT and BRIGHT! Tons of room and extra space. (Legal) Separate (living quarters) 2 bedroom 2 bath separate entrance and balcony in the back. All redone, owner is a contractor and left no detail undone. Ready to move in and enjoy! Call we can talk about all extras and how convenient this property is to all Ft. Myers beach has to offer.